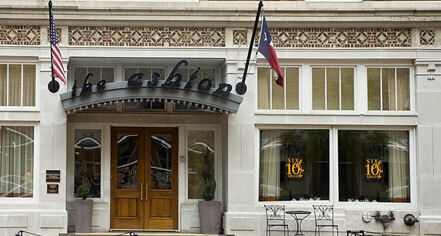 Housed in two inter-connected historic buildings, The Ashton Hotel is Fort Worth’s only small luxury hotel. Soaring twelve-foot ceilings are luxuriously appointed and offer the finest in classic ambience with modern amenities. The hotel’s elegant Café Ashton has become one of the city’s most popular fine dining spots. The hotel is decorated with original artwork by the Fort Worth Circle, a collection of local artists whose work spanned the years from the 1930s through the 1960s. 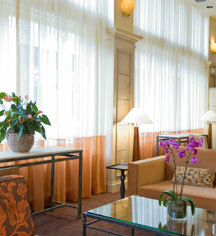 The Ashton Hotel, a member of Historic Hotels Worldwide since 2008, dates back to 1915. The Winfree Building built in 1890, holds the Ashton's banquet space. It once was the White Elephant Saloon, one of Butch Cassidy and the Sundance Kid's favorite saloons. Parking: Valet Parking: $28.00 + tax for overnight. Other: $17.00 for visitors and special meeting events. Housed in two inter-connected historic buildings, The Ashton Hotel is Fort Worth’s only small luxury hotel. Soaring twelve-foot ceilings are luxuriously appointed and offer the finest in classic ambience with modern amenities. The hotel’s elegant Café Ashton has become one of the city’s most popular fine dining spots. Learn more about the History of The Ashton Hotel .